Dirk Ahlborn has his finger on the pulse of civil engineering’s future. 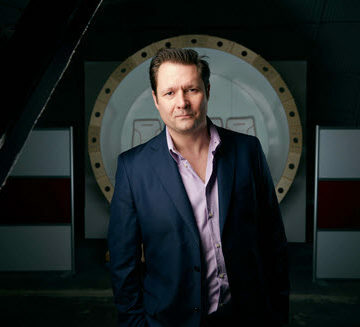 As chief executive officer of Hyperloop Transportation Technologies Inc., Ahlborn is helping to shape the future of transportation infrastructure. And as the founder and CEO of JumpStarter Inc., he’s changing the way new infrastructure ideas are brought to market. Ahlborn talked about all of it with ASCE News ahead of his keynote address at the ASCE 2018 Convention in Denver, Oct. 12. ASCE News: After Elon Musk developed hyperloop as an open source concept, what attracted you to the concept, so much that you started HTT? 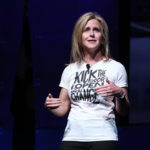 Ahlborn: Originally the hyperloop concept was placed on our JumpStartFund platform and voted on by the community, where not only did it receive overwhelming support by the community as a project that the platform should adopt, but the majority of voters also wanted to actively contribute to bring it to reality. At that time, in 2013, there were about 100 engineers working on proving the feasibility of the technology. Today in 2018, HTT is over 800 contributors around the world. 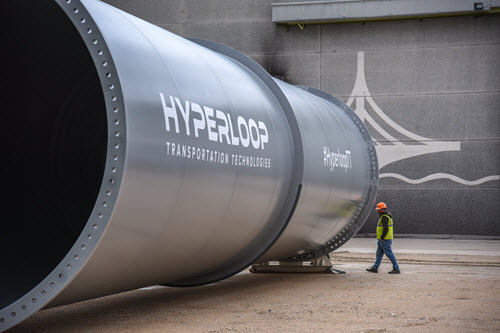 ASCE News: What are the latest HTT updates – any idea when and where we can expect to see Hyperloop in use? Ahlborn: We recently announced the construction of the first full-scale passenger and cargo r&d hyperloop track in Toulouse, France. Phase one, the first 300 meters, of the track will be operational this year. Additionally, we announced the first commercial hyperloop system in Abu Dhabi. Working in conjunction with Abu Dhabi’s leading construction firm, Aldar, HTT will begin building the world’s first 10 km hyperloop. 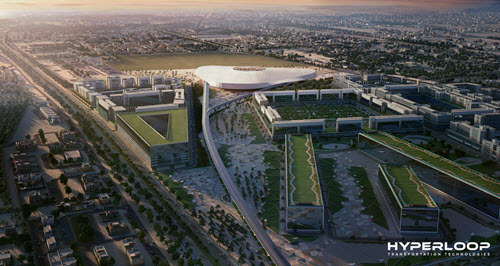 We are expecting the first phase of this route to be up and running in time for Expo 2020. ASCE News: Your JumpStarter crowdfunding model is very innovative. Talk a little bit about how it works and why you think it fits both the present and future of how we build things? Ahlborn: We have been able to achieve great things with this model, which isn’t crowdfunding nor is it crowdsourcing exactly. Everything from finding the right technological solutions for our first systems to signing agreements around the world, of which we have eight now, has come to HTT through our contributors and even larger community. When we started JumpStartFund, we set out to try to create an ecosystem that would help build businesses the way it should be done in the 21st century. The internet has changed our lives in so many ways. We get our groceries, news, and dry cleaning delivered to us online; we date, get married, and sometimes even divorced using the internet. However, when it comes to starting a company, it is often still just a couple of buddies in a bar with a cocktail napkin. We wanted to change this with JumpStartFund, and with HTT we have seen some incredible successes. Now, if you have an idea, you can share it with experienced professionals who provide honest feedback can provide the resources necessary for seeing good ideas become a successful business. ASCE News: Speaking of the future, project 10 years out – what do you see for the future of transportation infrastructure? Ahlborn: At HTT, we are not only building the first commercial hyperloop systems, we are also setting out to make transportation better as a whole. It is one thing to be able to get from one city to another in minutes instead of hours, but if it takes you an hour to get to the Hyperloop station we have not solved the problem. This is why, through our model, we are opening innovation centers that we call XO Square, like the one we just opened in Brazil in April. 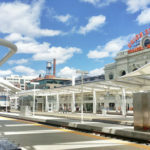 These innovation centers will house startups, university groups, and other companies and organizations who are working on solving the transportation problems of today and tomorrow. There are smarter ways to build transportation infrastructure in the 21st century, ones that are friendly to the environment while also being profitable, like the Hyperloop. We believe it will be these factors that determine the course of transportation going forward. Learn more about the ASCE 2018 Convention. 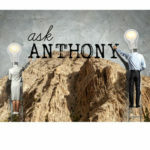 Ask Anthony: How Do I Stay Current With Technology as a Civil Engineer?